RIA – your Risk and Insurance Advisor. RIA is one of India’s leading Insurance Brokerage Companies since 2003. As one of the first few Brokerage Companies to be registered in India by IRDA, we have extensive experience across Industries and Insurance types in both Commercial (Employee Benefits, Liability, Marine) and Retail (Health, Motor, Term Insurance) segments. Across these, RIA is recognized as a Leader in the Health Insurance space with the first ever online health insurance portal in India (www.healthinsuranceindia.org). The portal was the top SEO result for health insurance for over three years for most health insurance related keywords. We are committed to partnering with our clients to understand their business operations and personal needs, risk exposures and apply our technical insurance expertise to each opportunity. Our customer service orientation has resulted in high retention of our clients across corporates, SMEs and individual customers. We are leaders in the implementation of technology and analytics solutions within the insurance industry. Our goal is to increasingly digitize to better serve our clients and manage our operations. Why use a Brokerage Firm? Do any of these situations sound familiar: Unsure of which Insurance Product to buy, never heard from your agent after you purchased the policy, or trouble with all the claim documentation and process? As an Insurance Broker, we represent the client, and ensure that the client’s business interests are properly protected in their dealing with insurance companies. We use our domain knowledge and expertise to help the client properly assess their insurance needs, shop for the best value in insurance coverage and help the client in managing their claims. Mr. Sethi has extensive experience in the Insurance Industry and has served actively across multiple industry associations to drive evolution of the Industry. Currently, he is Co-Chairman of the Skills Development Committee of PHD Chamber of Commerce & Industry and previously was the Co-Chairman of the Insurance Committee where he was responsible for organizing Seminars and Events on various topics including Cyber Insurance, Fasal Bima (Agriculture Insurance), Health and Liability Insurance. 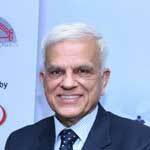 Prior to that, he served as the Vice President & Director of Insurance Brokers Association of India (2004-2013). In addition to authoring a book “Best Guide to Buy Health Insurance”, Mr. Sethi’s views are frequently covered in reputed publications (such as Mint, Economic Times, Financial Chronicle), TV shows, and at leading management schools. He is also the Founder of Insurance Foundation of India (IFI), a Not-for-Profit Organization that aims to create awareness and promote Insurance among the masses in India. Prior to founding RIA, Mr. Sethi had over 29 years of work experience as a senior executive in various leadership roles with a large Indian corporate house. Mr. Sethi is B.Tech (I.I.T. Madras), M.B.A (FMS) and has done a one year course in Corporate Finance (London Business School).